The 17th International Conference on Software, Telecommunications and Computer Networks (SoftCOM 2009), technically co-sponsored by the IEEE Communication Society (ComSoc), will be held in attractive ambience of the Amfora hotel in Hvar, September 24 - 26. 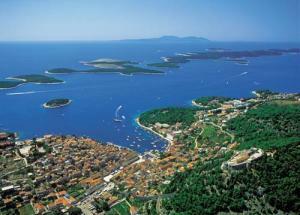 Hvar has been elected as one of the ten most beatiful islands in the world (by Conde Nast Traveler Magazine). Authors are invited to submit their high-quality papers representing original results in all areas of communications software, services and applications, telecommunications and computer networks. Accepted and presented papers will be published in the conference proceedings and indexed in the IEEE Xplore and Inspec. Authors of the selected best papers will be invited to submit a revised and extended version of their manuscripts for possible publication in a special issue of the Journal of Communications Software and Systems (JCOMSS) and International Journal of RF Technologies: Research and Applications . Authors are invited to submit their high-quality papers representing original results in all areas of communication software, telecommunications and computer networks. Accepted papers will be published in the SoftCOM 2009 conference proceedings and in the IEEE Xplore.